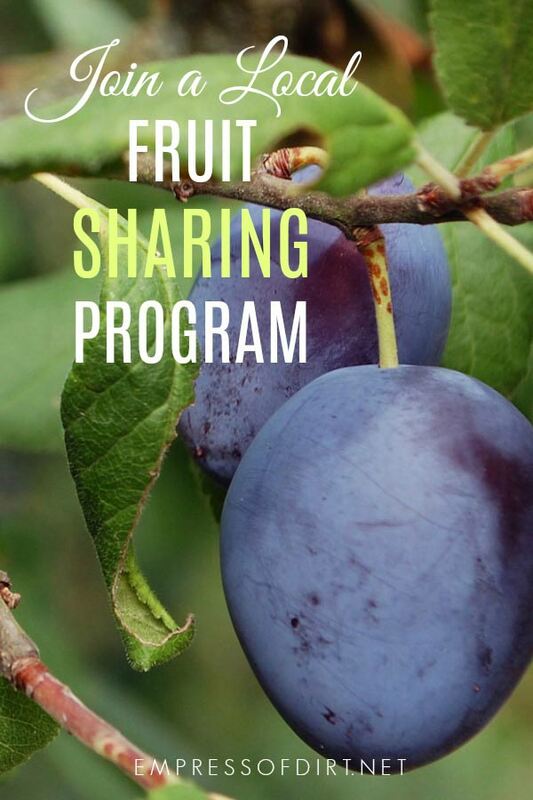 Fruit sharing programs have become increasingly popular over the last few years, both as a way to reduce food waste, and to help city dwellers feel more connected to the food they eat. Whether you want to share your bounty or volunteer, there are plenty of ways to get involved. I grow several types of fruit here at Empress of Dirt. You can find my fruit-growing tips here. Ever-increasing numbers of people now live in urban or suburban areas with much higher population densities than rural spaces. While there are not a lot of farms in these areas, there can be orchards’ worth of fruit trees and berry bushes spread out among people’s yards. This is often fruit that never gets used and there’s a lot left over that just rots and goes to waste. 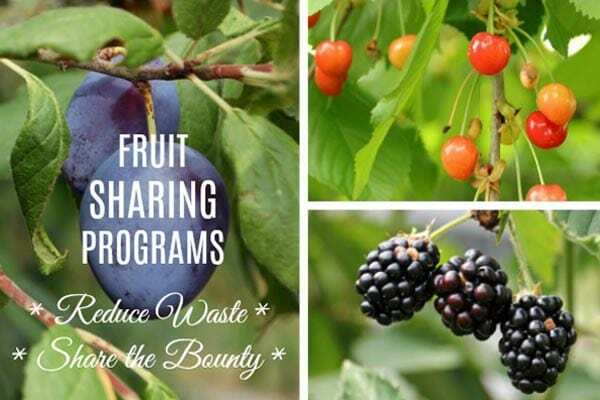 For several years now, we’ve seen the growth in fruit sharing programs in urban centres, sometimes called fruit gleaning, and there’s some other names as well. Different programs have different structures, but the gist is that property owners give permission to a trained team of volunteers to come pick and distribute the fruit. It’s common to split the fruit between the owners of the trees or plants, the volunteers who do the picking, and some community groups—food banks and shelters are very commonly groups that receive some of the fruit. Sometimes the fruit is sold to local restaurants or food stores and a cut of the proceeds are provided to community groups. As I said, there are different structures, but what they all have in common is getting available, locally-grown fruit to people, that would otherwise go to waste. Along with the more practical or utilitarian benefits of rescuing the fruit from being wasted, there’s also the benefit of helping people living in cities—far removed from farms, typically—feel more connected to food and involved with something benefitting the earth. Fruit has to reach physiological maturity before it can ripen. From there, some fruit, like berries, can only ripen on the plant. Others can also ripen after picking. This lists which fruits can ripen after picking and those that do not. It’s very handy to know both for harvesting fruit and choosing fruits at the grocery store. Those sour oranges are not going to improve at home! You may have to look around to find an organization in your area. They have many different names like Fruit Share, Fruit Tree Project, Operation Fruit Rescue, and many others. 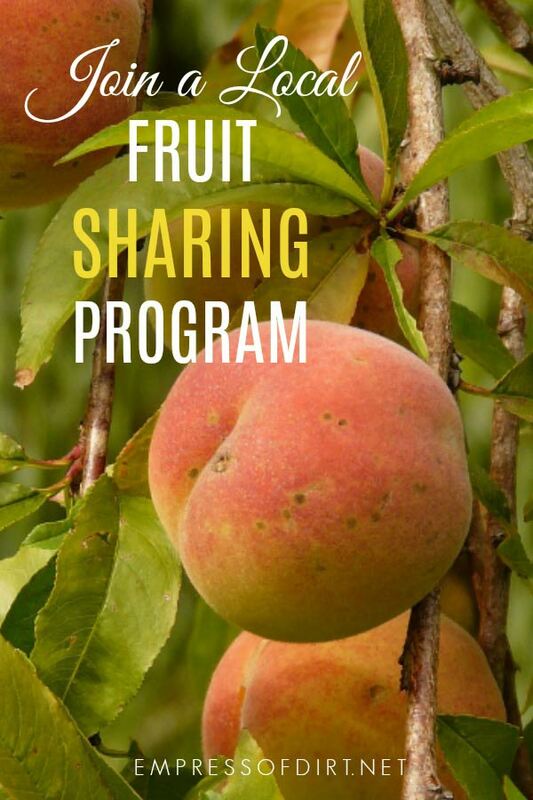 Try googling ‘fruit sharing’ and your area and see what comes up. Larger urban areas may have several different groups. If there isn’t one in your area, you could learn how the others work and start your own.